ANGRAU Application Form 2019 for all PG courses will be available online on the University website. Separate application should be submitted for the separate course along with the copies of certificates/documents and the Registration Fee. The application form should be submitted on or before the last date of form submission. Applications received after the due date will not be considered. If any of the required certificates are not enclosed, the application is liable to be rejected summarily. The candidates who will qualify the ICAR-AIEEA 2019 will only be able to apply for the admission in the University. 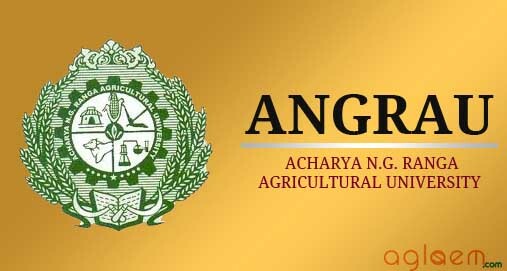 Check more details about ANGRAU Application Form 2019 from this article. The application form for the eligible candidates will be accessible from the official website of the University. Candidates will be required to submit the application form before the termination of the application process along with the required documents and application fee. 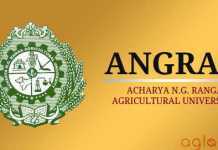 Application Form: ANGRAU Application Form 2019 will be available at the Official Website i.e www.angrau.ac.in. Applications will be invited for admission into following PG courses -Ph.D. (Ag.) / Ph.D. (H.Sc.) / Ph.D. (Ag. Engg.) / M.Sc.(Ag.) / M.Tech (Agri. Engg.) / MBA (Agribusiness Management) and M.Sc. (H.Sc.). Applications duly filled in including those sent through Employers should reach on or before the last date. The application form should be submitted with correct and complete information in all aspects along with the application fee. The application form will be rejected in case of any incorrect or incomplete information. Duly filled application form along with all the required documents submitted on time will be acceptable. Regional Agricultural Research Station, Tirupati – 517502. When was bipc stream counselling held ?